Today, Iran was hit twice. 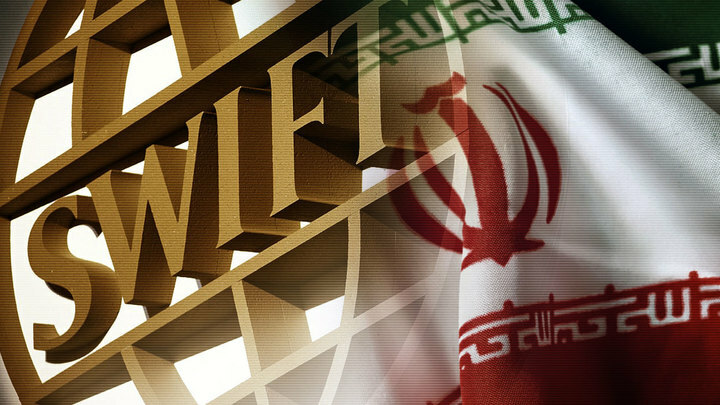 It was cut off from the international payment system SWIFT, which would greatly complicate Iran’s trade with the outside world and reduce its oil supplies. And the second bad news: the German company Wintershall, which is building the Nord Stream II, also left Iran. SWIFT and Wintershall made their own decisions, but under pressure from the United States. On the night of November 5-6, the strongest US sanctions against Iran took effect. Washington banned Tehran from exporting Iranian oil and restricted operations with the Central Bank of the Islamic Republic. In the form of a “carrot”, Donald Trump temporarily allowed some European countries to buy Iranian oil. For example, Greece and Italy. But the fear of being punished still forces Europeans to leave Iran. Among the "fugitives" are such large French and German companies as Total and Siemens. When Europeans are afraid, but the Iranians cannot do it themselves, Moscow can be the way out. Russia offers to buy Iranian oil, paying for it with products of engineering and agriculture. According to the British news agency Reuters, it is about 500 thousand barrels of oil per day - a quarter of Iran’s current production. The oil purchased from Iran will go to domestic consumption. And the surplus formed by this will be used by Moscow for export in order to cover the volumes that Iran did not give to Europe. The sanctions against Iran affected Russia's incomes. Europe is pumping more oil from Russia to offset Iranian oil. For example, the French company "Total" stopped buying oil from Iran, and in the following month, it bought 217 thousand Russian oil a day, which corresponds to the annual maximum. The same replacement effect occurred in China, which reduced oil imports from Iran by 34%, and increased from Russia by 7%. In South Korea, Tehran’s oil sales fell by 85% in August. In the same month, Russian shipments grew by 20%. Since August, Iran has reduced oil sales by almost a third, from 3 to 2.2 million barrels per day. Over the year, Russia reached a 30-year oil production record of 11.4 million barrels per day, and Rosneft tripled its profits to $ 6.8 billion. Russia is increasing both the volume and the cost of sales, because US sanctions inflate world prices. Russia, becoming an intermediary between Iran and the EU, not only increased its revenues, but also “hit the US on the nose,” because it undermines the work of the sanctions regime imposed on the whole world.